Payment of rents directly to your trust bank account via direct payment is referred to as BPay Processing, which is a separate file available for download from your bank. 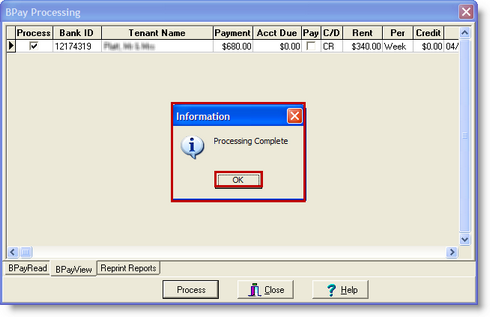 There may be other terminologies used by the banks such as Rent Card, Rental Rewards etc. 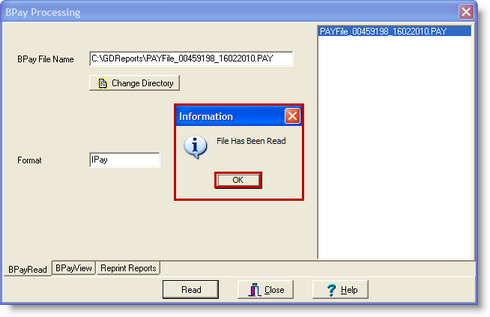 Unfortunately the means of obtaining this file, and it's internal format varies from bank to bank. GeeDee already caters for many of the formats used by the major banks. If your required format is not available, please contact GeeDee support. 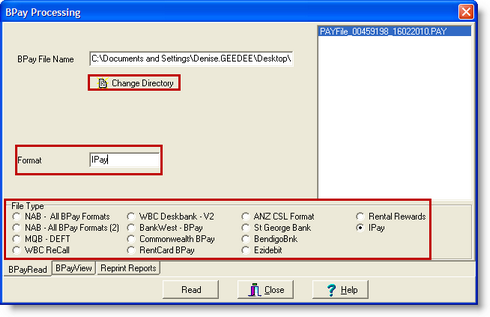 To import a file go to Banking/BPay Processing. To Import the file go to Change Directory and search for where the file has been saved. This will then appear in the list screen. 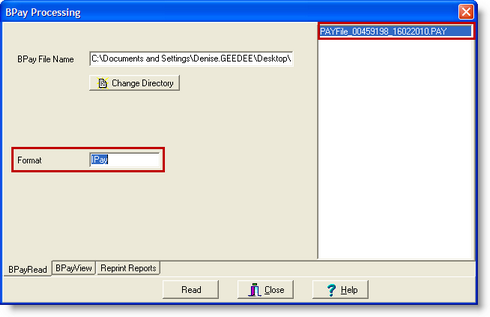 Double click the Format section to show File Types at bottom of screen. Now a BPay Process List will appear allowing you to check information. 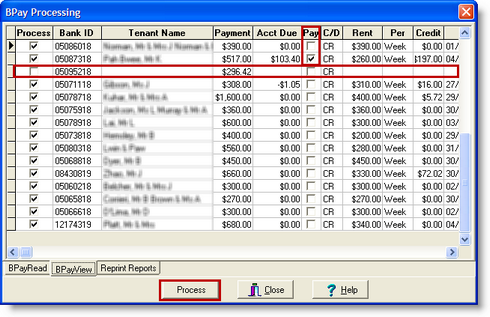 If a tenant has details missing it will automatically be unchecked and not processed. 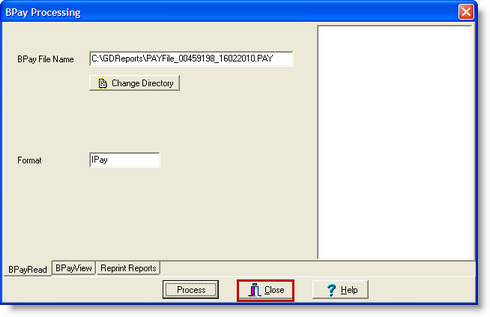 If there are accounts due it will automatically check pay. If you want to de select any items you need to uncheck the box/es. When you are satisfied the details are correct click Process. 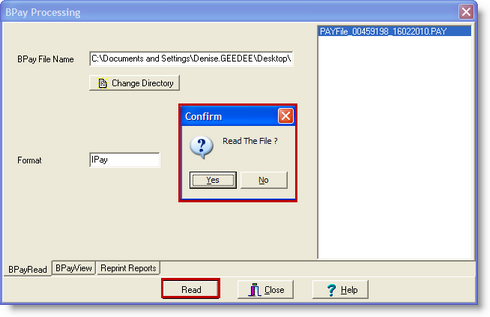 Once this has been processed it will bring up the BPay Batch Report which you must print off. 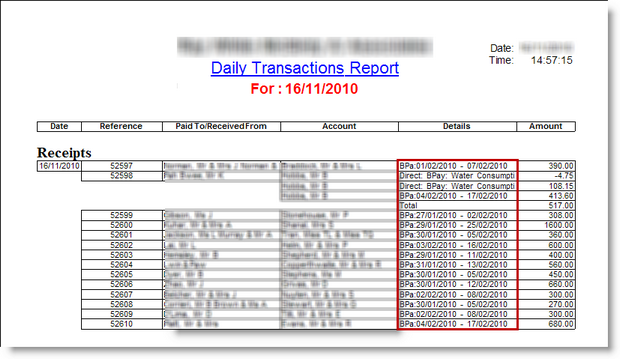 This report shows Processed payments Yes or No and it also shows amount of payments not processed and the total $ amount of payments processed. 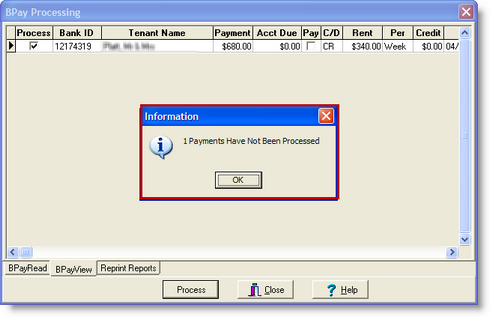 Once process is completed you must manually receipt the payment to the tenant which was not processed. 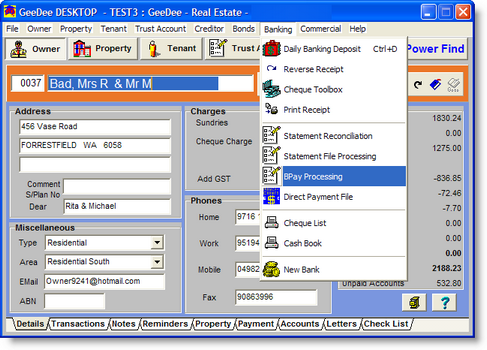 To access the tenant details search by the bank ID number. It will now show the Process Complete, click OK. The main screen will now appear and click close.